So relatively new to long distance shooting and don’t have a spotter. 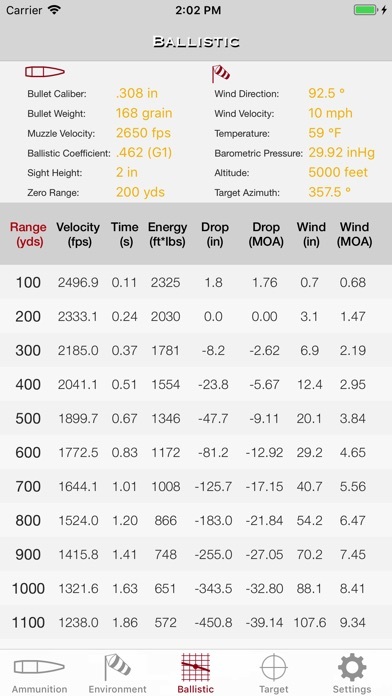 But once you know your zero at a specific range..(highly suggest 200) and you know the bullet you are going to use (never change btw) this app has allowed me to very accurately dial in my holds up to 450 yds with my JP 15 shooting 5.56.. Have to be within 2” of accuracy to the calculations... I believe it would be dead on if I had the exact correct velocity of my rounds, but just going with what the box says. Also the huge preloaded ammo selection is awesome. 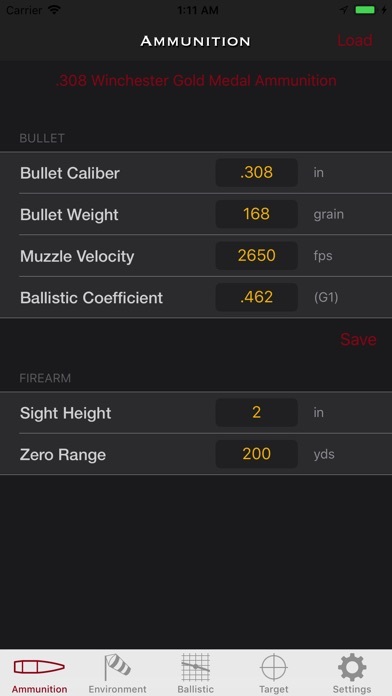 Most expensive app purchase ever, and paid for itself in the ammo I’ve saved! Great application for I-phone, all data pertinent and dedicated to accuracy. 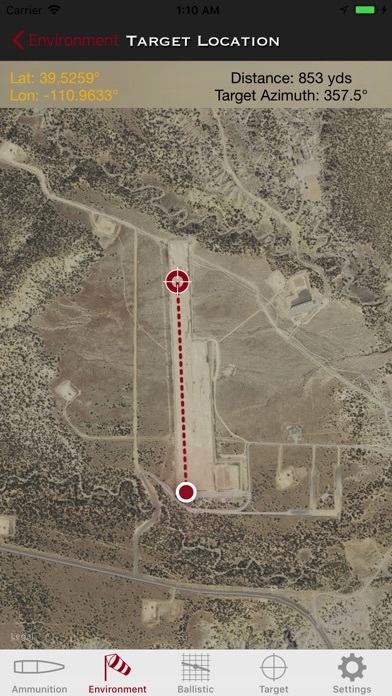 Simple to use GPS is cool, lets you know what’s beyond your target in unfamiliar areas. 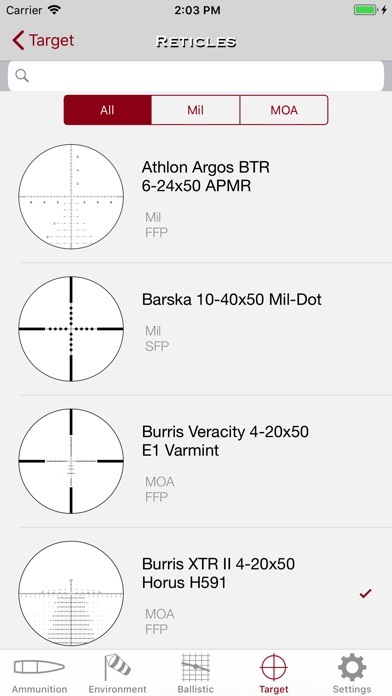 I have paid for and downloaded four ballistic calculators and the SBC app is hands down the best one out there. 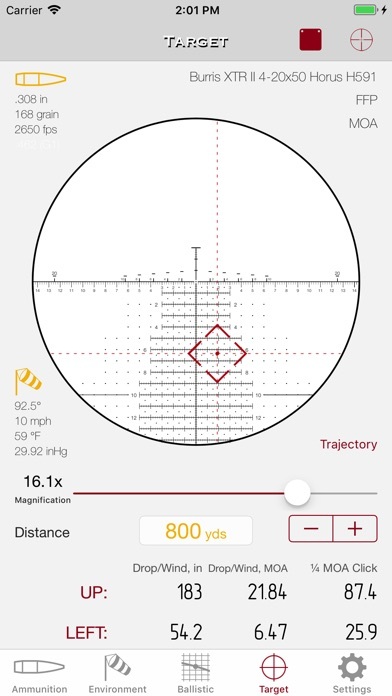 Intuitive and easy to use, save your favorite reticles for quick access and the birds eye view of your surroundings is really cool and useful. Don’t waste your time and money on any other app. As many other people mentioned you can’t change it away from (g1) so this app won’t work with airguns. I bought this because it’s the only ballistics app with a watch companion app but this app still needs a lot of work. I requested a reticle and in the very next update they had my scope! 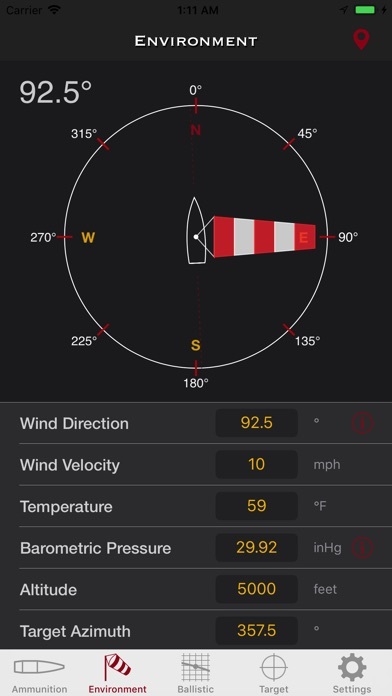 The ballistic calculator is amazing and the GPS function (while sometimes can be a bit buggy) is really helpful in determining wind direction and speed. 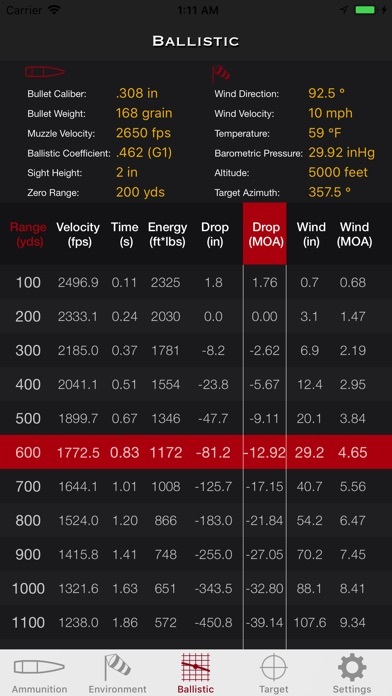 1000 yards is no small feat and this app makes it a lot easier. Don’t get me wrong. It is a beautiful app and well put together. But if it doesn’t have your specific reticle it’s useless. 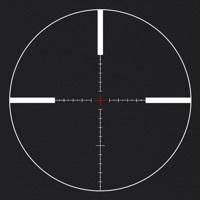 Purchased a few months ago, requested my scope reticle be added and have sent an email. Last update was over 3 months ago. Developer has not added reticle or ever contacted me back. Will not be recommending to my students. Look elsewhere for a ballistics calculator. 1: Can only use G1, not G7. 2: Max ambient temperature on Apple Watch version is 70 degrees. 3: Zero range on Apple Watch version limited to units of ten. Cannot set 25 yards. 4: No provision to enter projectile length. I was reluctant after reading the reviews to download this app, but after looking at the update history I decided to give it a try. It has worked flawlessly and is very easy to use, including with the Apple watch. This app developer has worked incredibly hard to address all the negatives brought up in past reviews. Every update is something major that makes a huge improvement in functionality. A year ago I wouldn't have recommended it, but today I say buy it with complete confidence. 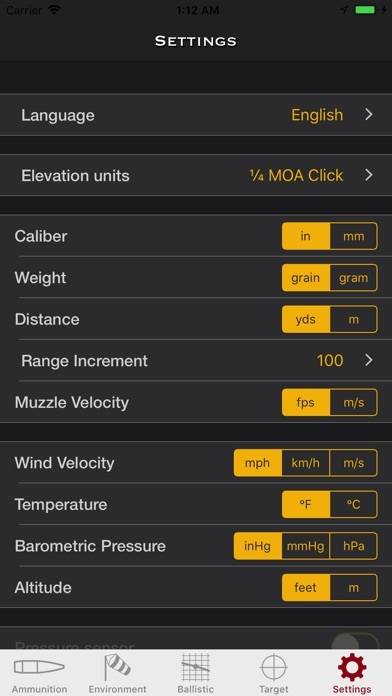 Compared to the other ballistic apps available for the SAME PRICE...this one is a no frills light weight hard to use and annoying at best Look elsewhere. Ballistic table run crashes program after about 150yds. Program crashes during other functions. Limited scope support. Program has potential but it's not worth the aggravation. Needs more optics models with mil-dot MOA versions. Second short coming is with .303 BC it won't calculate the bullet trajectory. But if you can deal with that it's a great app. Unfortunately this app is so limited it's not worth the price despite being Apple Watch compatible. The Ballistic engine is limited (G1 form factor only), one cannot create a library of projectiles, cannot create a "DOPE" sheet, have to input range for each calculation, cannot graphically view wind deflection or drop, cannot get drop in inches, there is no output in milliradians (only fraction of Mil click values). The list of limitations is too long to detail. 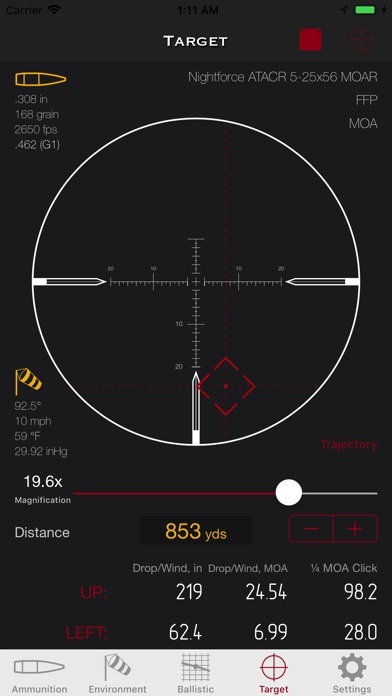 Bottom line, if you are a shooter looking for an Apple Watch Ballistic calculator, please don't spend money on this app and hope established iOS apps like Ballistic implement a useable Watch solution. 1 star for now allowing ballistic coefficient to be entered into data fields. 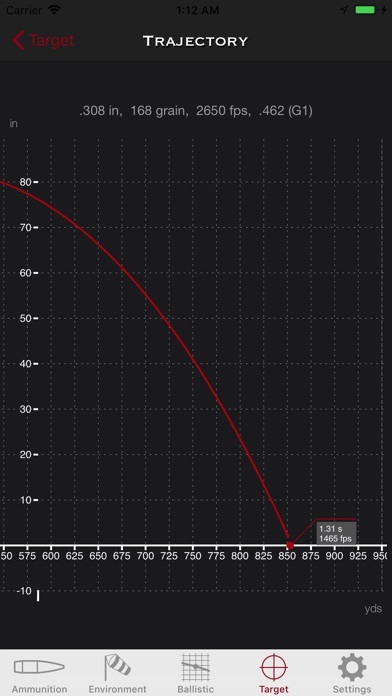 How can you accurately calculate drop values without entering ballistic coefficient? You can't because this app gives incorrect data compared to other apps that I have used and tested and found to be accurate. I bought this app because of its Apple Watch compatibility but I wish I could get a refund. I emailed the app developer asking why he excluded ballistic coefficient values and received no response. I waited 48 hours after sending an email and then came here to write my review. I do not recommend this ballistic calculator. When I enter information, the information reverts back to whatever was there before I entered my information. Worthless to me. The app don't work at all. This app is a compleat sham.